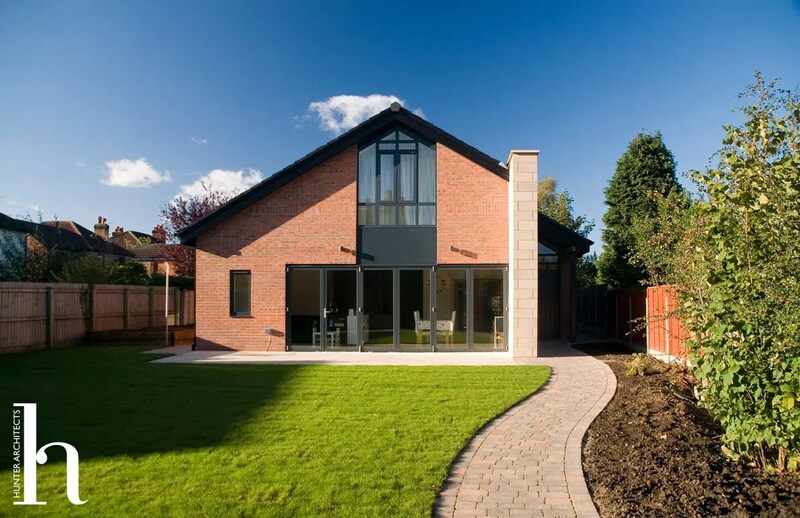 Located in near Timperley village, this new build environmentally friendly family home nestles behind a number of traditional semi-detached properties on a backland plot. 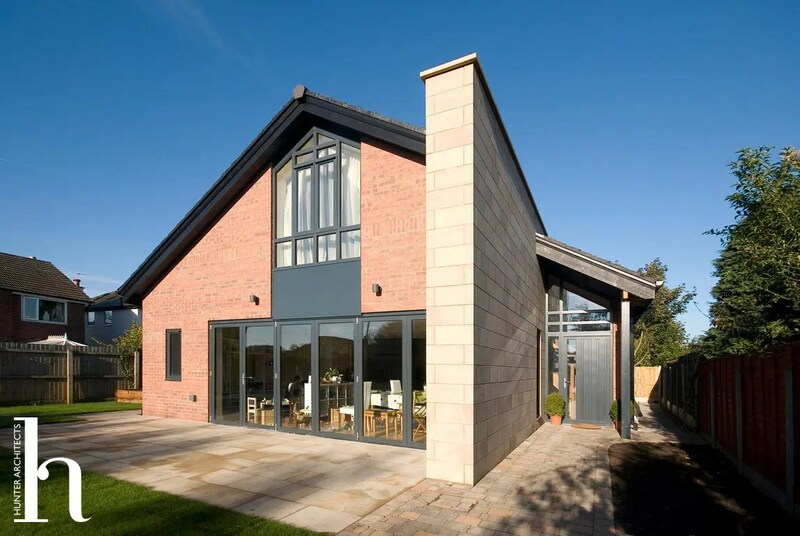 Prior to Hunter Architects & Planners involvement, the site had a chequered planning history with several failed attempts to achieve planning approval for a detached house on this backland site. 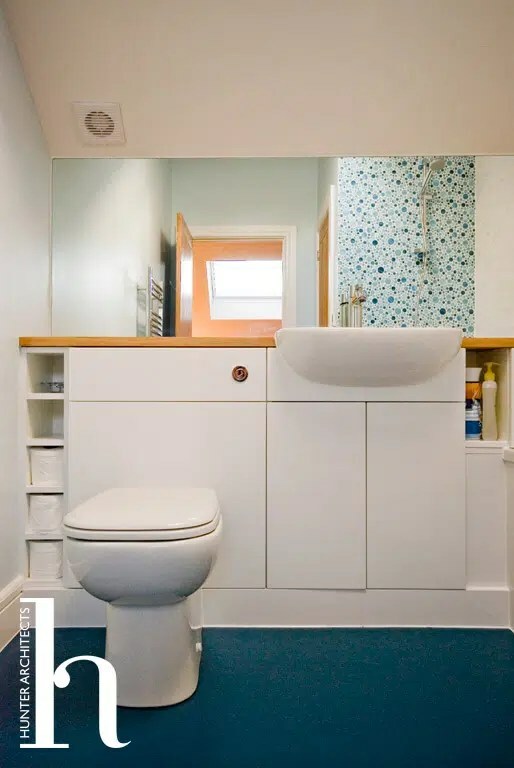 The owners wanted a fun, bright, contemporary but affordable family home, with good day-lighting, links to the garden, reduced bills and substantial storage. 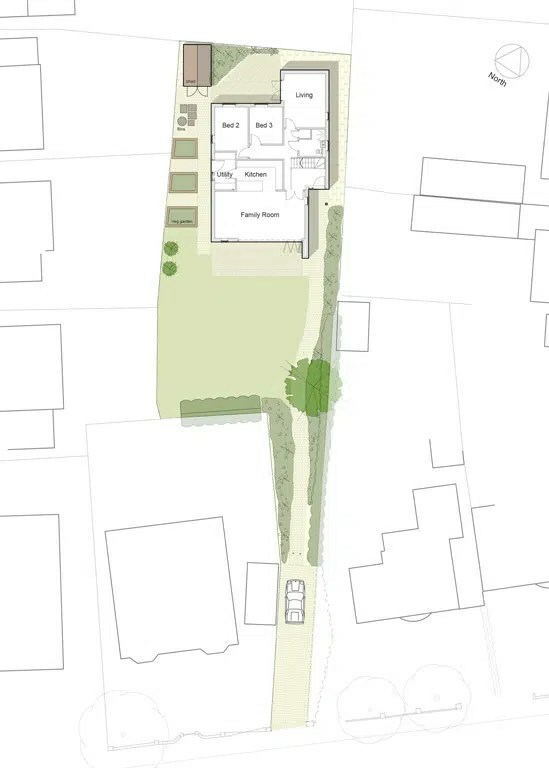 The result is a building of its time, designed by Hunter Architects & Planners to respond to the backland site simply and elegantly, whilst minimising the potential overlooking from neighbouring dwellings. 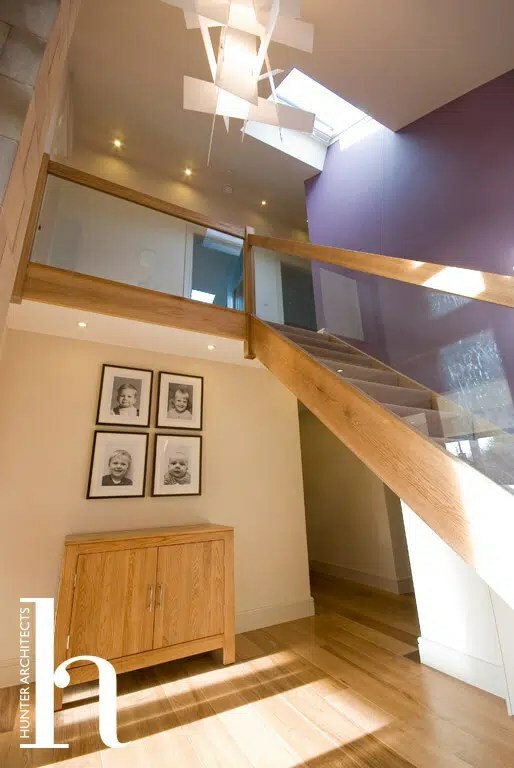 The house, constructed to Code for Sustainable Homes Level 3, incorporates Secured by Design and Lifetime Homes accreditation, solar hot water and rainwater harvesting systems and a bespoke kitchen and staircase. 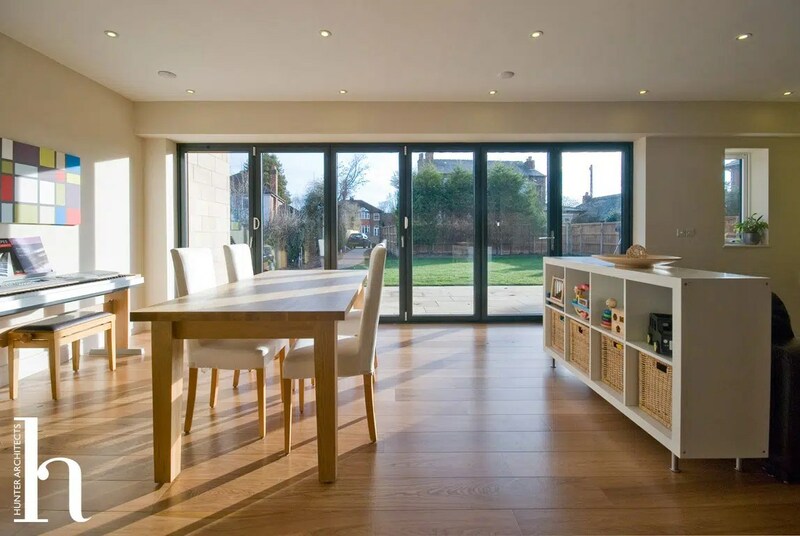 The main family and kitchen areas open onto the garden via large south facing folding doors, with the more private rooms at the rear of the property looking onto a smaller courtyard garden. The orientation and neighbouring houses on the backland plot influenced the design. 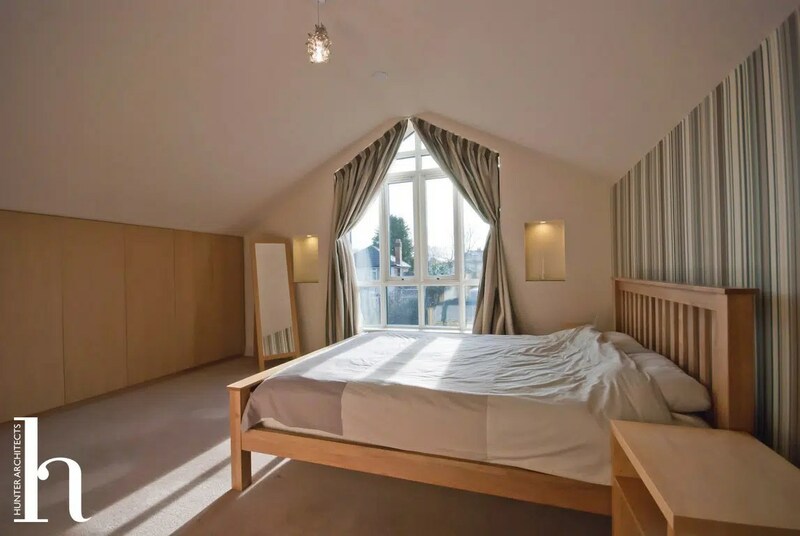 The master suite is contained within the roof, where the pitch creates high ceilings and storage within the eaves spaces. 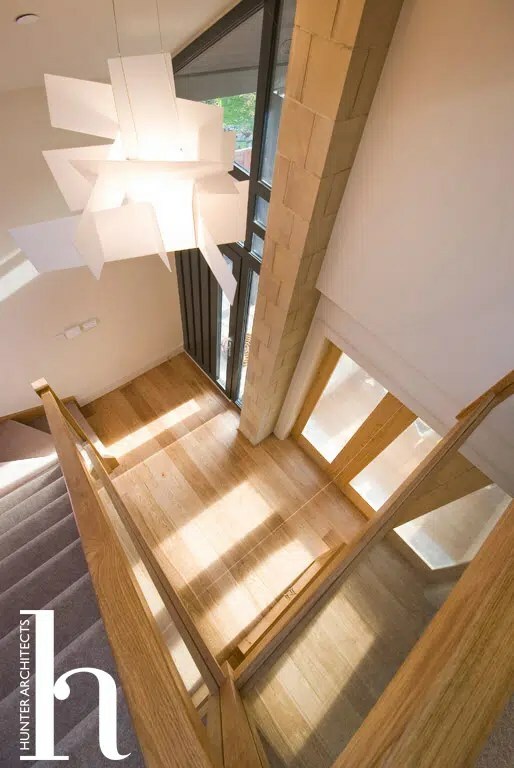 Whilst constructed on a tight budget, the architects approach and imaginative designs have created a unique house with a number of bespoke elements included such as a custom made front door, staircase and kitchen, which is the jewel in the crown. 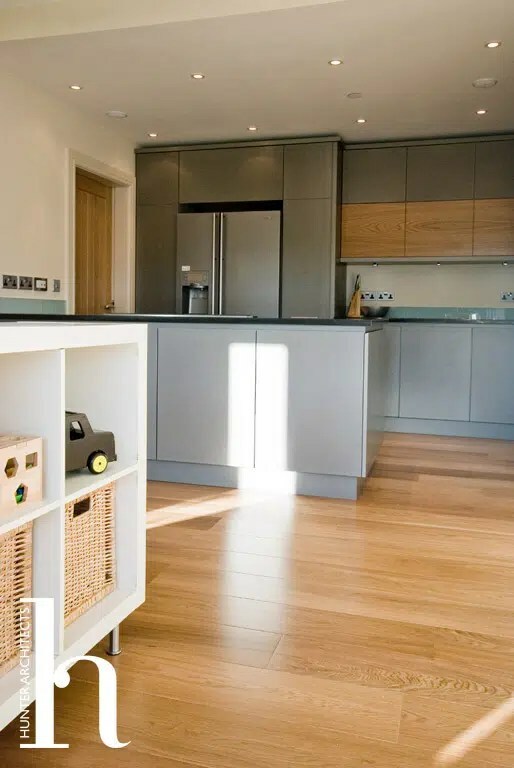 The kitchen was designed by the Architects and constructed by a local craftsmen and the design creates a timeless, sleek, handleless but functional family kitchen at a substantially lower cost to the equivalent retail offerings. 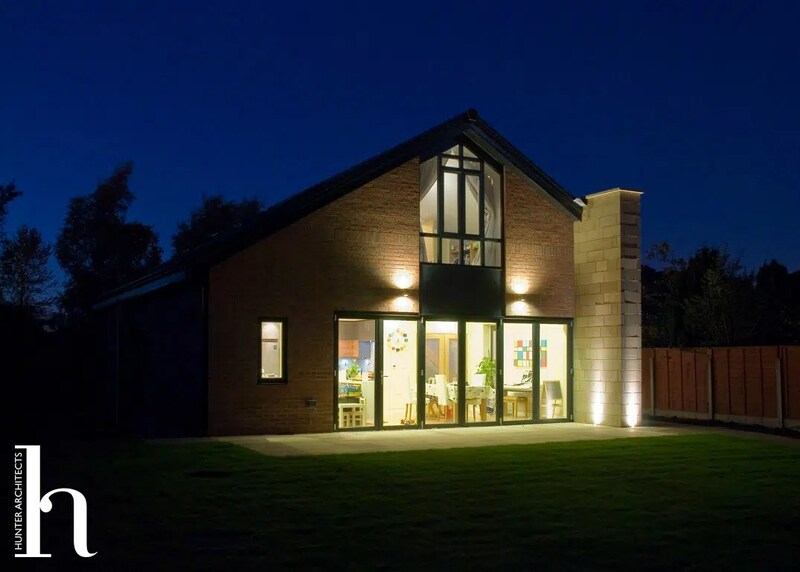 The house, constructed to meet Code for Sustainable Homes Level 3, incorporates solar hot water, rainwater harvesting systems and Secured by Design and Lifetime Homes accreditation,. Secured by Design is a Police initiative which focuses on crime prevention at the design, layout and construction of homes. 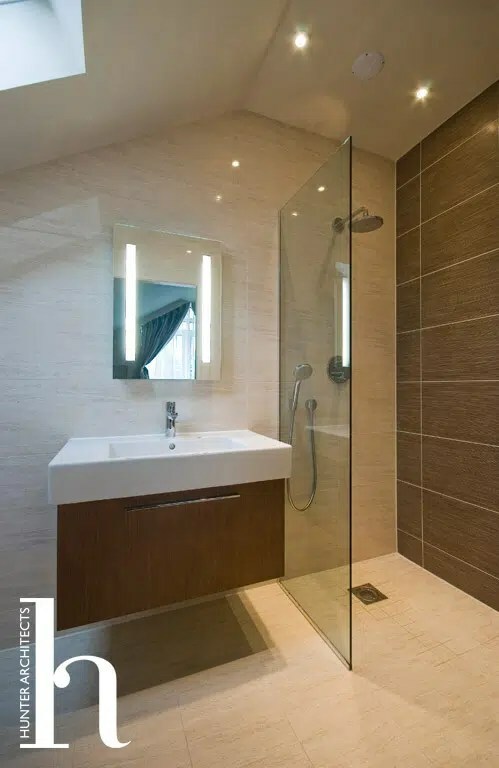 Lifetime Homes is a concept to develop flexible and adaptable homes which incorporate elements to support the changing needs of individuals and families at different stages of life. 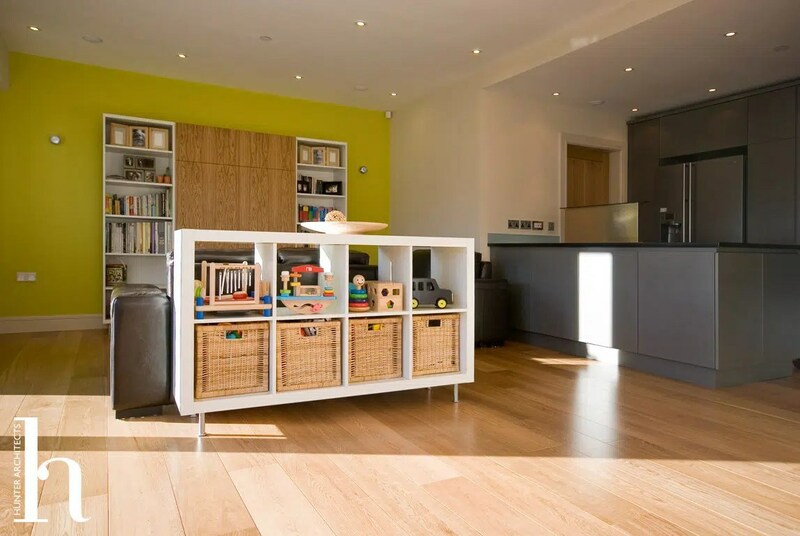 This project aimed to demonstrate a sustainable family home could be developed on a commercially viable budget. 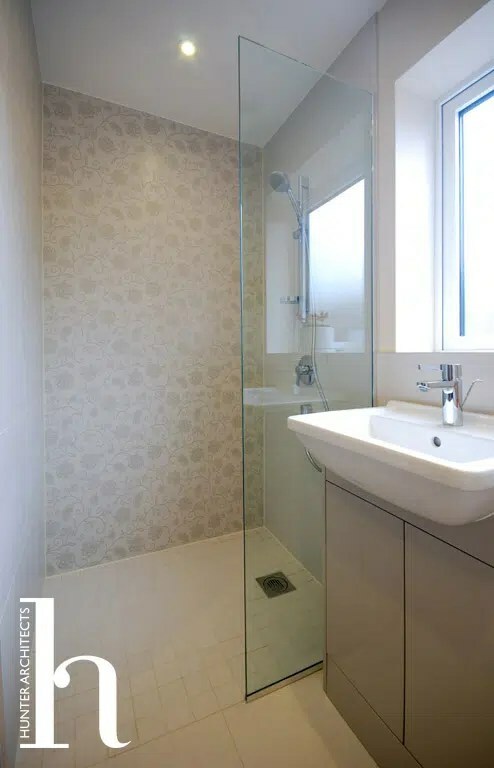 The strategy was to incorporate features that would have an immediate and ongoing benefit to the occupiers with little maintenance or detailed knowledge. 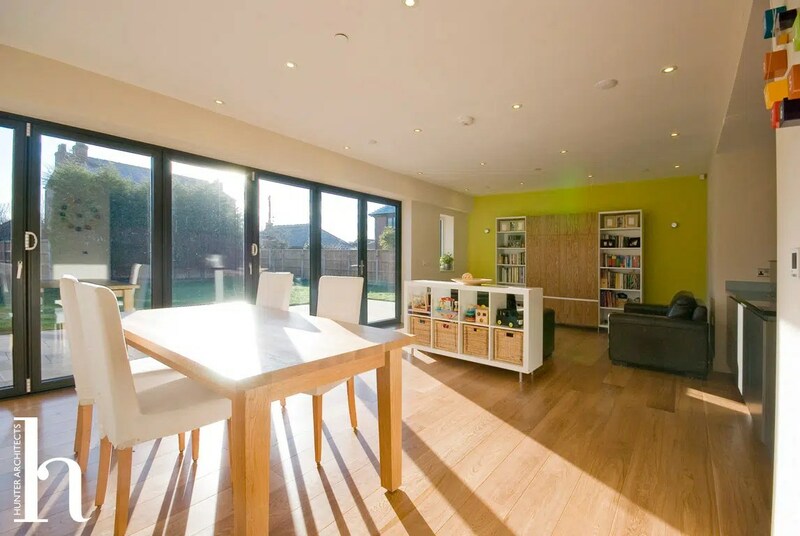 Reduced utility bills are achieved by a solar hot water system, heat exchanger, under floor heating, low u-values as well as solar gains from large south facing glazing. 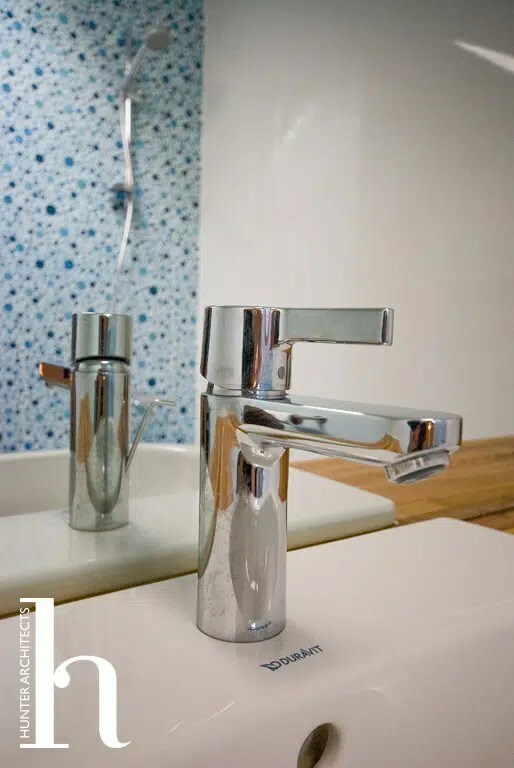 Low water use of less than 80 litres/ person/ day is achieved by rainwater harvesting (for WC’s, the sprinkler system, washing machine and externally) as well as low flow rate taps and efficient appliances. Electrical demand is reduced by incorporating good day lighting generally as well as 80% dedicated energy efficient lighting. 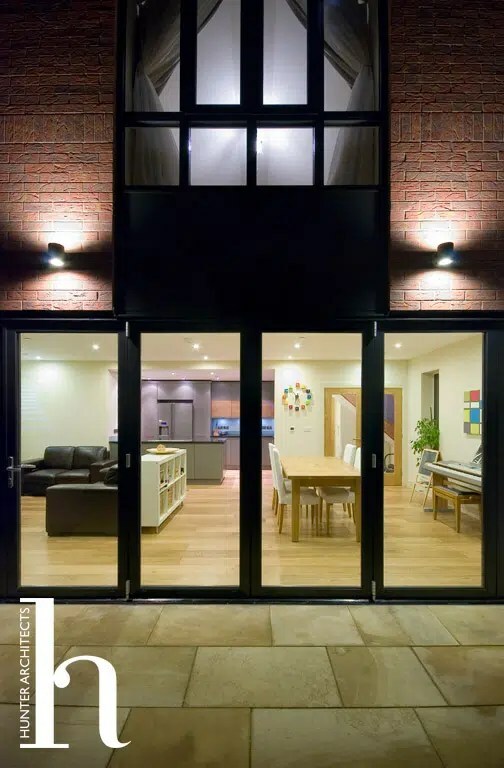 Features: Nominated by Trafford Council for LABC Building in Excellence Awards and by Magazine Editor for Murray Armour self build award. 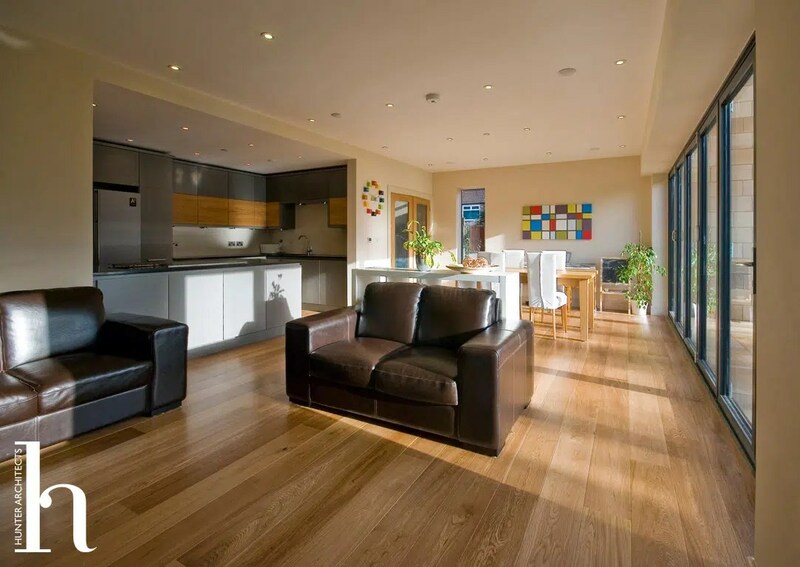 Level 3 Code for Sustainable Homes. Secured by Design, Lifetime Homes. 25% better than building regulations.